The Flying Mantis is now for Sail. Having successfully completed on-the-water tests on the prototype, moulds have been constructed, and the production version of the Flying Mantis has just been released into the wild. The first production boat will be appearing at the London Boat Show on 10th to 14th January 2018 (stand SB002). Orders for a construction slot can be taken now. 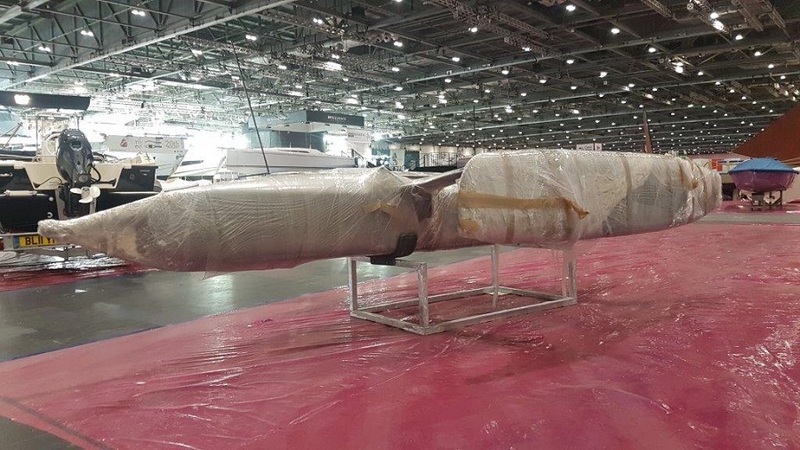 This trimaran has come a long way since the prototype was revealed at the RYA Suzuki Dinghy Show in March 2017. The basic hull shape has remained unchanged but there have been significant improvements to the mast, boom, foils, wand, fittings, sails and rigging. The feedback from those who have sailed her has been all positive. Her beauty and unique nature attracts a lot of attention wherever she has been on display.